Forget cute fairies in pretty dresses. In the world of Aluvia, most fairies are like irritable, moody insects. 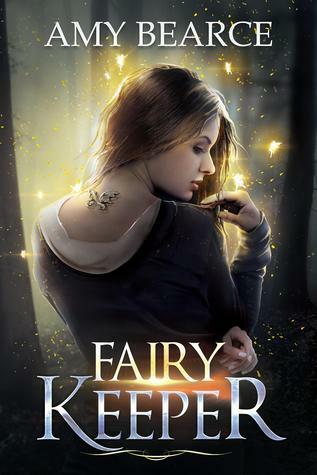 Almost everyone in the world of Aluvia views the fairy keeper mark as a gift, but not fourteen-year-old Sierra. She hast being a fairy keeper, but the birthmark is right there on the back of he neck. It shows everyone she was born with the natural ability to communicate, attracts and even control the tiny fairies whose nectar is amazingly powerful. Fairy nectar can heal people, but it also has the key ingredient in synthesizing Flight, an illegal elixir that produces dreaminess, apathy and hallucinations. She is forced to care for a whole hive of bee-like beasties by her Flight-dealing, dark alchemist father. The one day, Sierra discovers the fairies of her hatch are mysteriously dead. The fairy queen is missing. Her father's Flight operation is halted, and he plans to make up for lost income by trading her little sister to be an elixir runner for another dark alchemist, a dangerous thug. Desperate to proceed her sister, Sierra convinces her father she con retrieve the lost queen and get his operation up and running. The problem? Sierra's queen wasn't the only queen to disappear. They're all gone, every single ones and getting them back will be deadly dangerous. Sierra journeys with her best friend and her worst enemy -- assigned by her father to dog her every step -- to find the missing queens. Along the way, they learn that more than just her sister's life is at stake if they fail. There are secrets in the Skyclad Mountains where the last wild fairies were seen. The magic Sierra finds there has the power to transform their world, but only if she can first embrace her calling as a fairy keeper. So... After that long, long synopsis I am intrigued to see what happens in the book. It sounds interesting and because it is a middle grade novel, I am expecting to fly through it. I also got this book so that I can read and review the third book which is coming out soon. I have also been wanting to read this book since I heard about Ben (from Benjaminoftomes ) back in 2015 when I started watching booktube videos. So in a way, you can say that getting this book and reading it is of the utmost convenience. I cannot wait to jump in and see what happens to Sierra and her friends on their journey. Thank you to Curiosity Quills Press for sending me a copy of this book to review! I cannot wait! Please note that in no way has receiving this book affected my opinions. All thoughts are my own. Through the writing of the book and the general feel of it, it is clear to see that it is a middle grade novel. Usually I see myself flying through this book because the sentences tend to be simple and uncomplicated. However, with this book, I found that I took a little longer mainly because the flow of the book made you embrace every. single. word. I didn't mind it all too much because the author wanted to ensure that you read her story and not just read the words. I also have to be completely honest and say that there were moments where I just jumped from paragraph to paragraph. But I also found that this depended when I was reading. If I was reading in the morning I read it like that but in the afternoon I read it just like how the author intended for it to be read. The plot of this book was good. No doubt. However, I did find that there was a lot of repetition in content. It might not have happened a lot but it was definitely noticeable. The story of Sierra is an interesting one. The heartbreak you feel when Sierra leaves her sister Phoebe behind to solve what has happened to her queen is real. The sense pf angst and adventure you feel there after is just as real. The distaste that Sierra has for her father might as well be your own. 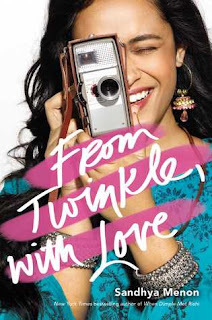 The author has done a great job by making us feel what her characters felt. Another completely honest moment here, I did not really like Sierra in the beginning. She felt a little childish for me at times but that eventually smooth out as we really got into the book. I also felt that sometimes she was being a little unnecessary when it came it Nell. Sometimes I got her reactions but then she would jus cover do it... So a lot of mix feelings in terms of her character. This book was interesting. From the writing style, to the plot and to even some of the characters. There is a lot of potential with this world and its characters and I am excited to see where Amy takes us in the next book. I recommend this to people who love middle grade stories filled with myths and fantasy. Fairies are also a big must! Thank you to Curiosity Quills for sending me this book to review in exchange for an honest review! I can't wait for more!